Problem gambling is a big issue in the world of online gambling. Due to being available pretty much everywhere at any time, many players struggle to keep their gambling habits at a healthy level. Responsible gambling is an initiative set into motion by online gambling providers, regulatory authorities and other entities that control gambling activities. It’s aimed at giving players all the necessary tools to regulate their gambling habits through implementation of various types of limits, self-exclusion options and other tools that enable them to gamble responsibly and safely. Responsible gambling options offered by casinos – Each online casino offers a specific set of responsible gambling tools which apply to that casino only. Country-based responsible gambling options – Some countries have implemented a nationwide database aimed at limiting access to all types of licensed gambling operators. In this section we also outline a number of responsible gambling methods provided by licensing authorities. Apps and tools to block gambling access at global level – A number of options exist that do a good job of limiting access to any form of gambling on the Internet. Other responsible gambling principles – Responsible gambling is not simply limited to tools that can be used by players to control their gambling habits. These principles also focus on keeping gambling fair, protecting players, prevention illegal practices, etc. Our approach to responsible gambling – We have our own opinion on what we consider responsible and irresponsible in the gambling industry, which also influences the way we rate online casinos and operate our website. Please note that although these options can be effective at monitoring and regulating your gambling habits, they probably won’t be able to help you overcome problem gambling completely. If you really struggle with gambling, we recommend checking out other ways to overcome problem gambling. To enable players to gamble responsibly and comply with regulations, online casinos generally offer multiple responsible gambling options that can be used if you feel like gambling is getting out of hand. In most cases, these options are offered by each casino on an individual basis. In other words, the responsible gambling options you choose at one casino will apply to that casino only. This limits their effectiveness due to the ability to avoid the deposit limit set in place at one casino, by simply playing at another, for example. There is an exception to this, though. Some groups of casinos offer group-wide responsible gambling options. This means that if you opt-in for self-exclusion at a casino belonging to a bigger group, you won’t be allowed to play at any of their casinos. Each group works differently, so this rule doesn’t necessarily apply to all of them. If you want to stop playing completely for a certain period of time, most casinos allow you to self-exclude yourself from playing. If you decide to use this option, you will not be allowed to gamble for a selected period of time. To self-exclude yourself from playing, locate the ‘responsible gambling’ section at your online casino, find the self-exclusion option, select your desired time period, and then turn it on. If a casino works as it should, you will not be allowed to play during the self-exclusion period, even if you contact customer support and ask them to let you play. Additionally, casinos should stop sending marketing information to players during their self-exclusion period. 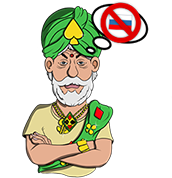 We are not sure, however, if all online casinos do this, but we definitely feel that sending marketing materials to self-excluded players is unethical and should not take place. Note: Bigger gambling sites with a wider range of products (casino games, poker, sports betting, etc.) sometimes offer separate self-exclusion options for each section. This means you could potentially self-exclude yourself from gambling in a casino, while still being allowed to play poker against other players. Of course, the possibility of complete self-exclusion is also available. What takes place during or after the self-exclusion period can differ from casino to casino. Some casinos don’t allow you to play during the self-exclusion period under any circumstances, while others allow you to cancel self-exclusion after a cooling off period. We have also observed some casinos which allowed players to cancel self-exclusion without a cooling off period, but this is rather immoral and goes against the entire concept of self-exclusion. We are strictly against this practice, and hope that all casinos will deal with self-exclusion correctly in the future. Note: The cooling off period is a specific amount of time that the player has to wait between canceling self-exclusion, and being able to play again. For longer self-exclusion periods this can be as much as one week, giving players enough time to reconsider whether to start gambling again or not. If you don’t want to limit your access to gambling completely, it’s possible to establish a deposit limit that will help you control how much you spend on gambling, by allowing you to deposit only a certain amount of money over a selected period of time. The way these time periods are calculated can also varies from casino to casino. What differs is the level of detail. Some casinos use calendar days, which means that a daily deposit limit applies from midnight to midnight, for example. Other casinos apply a daily limit for any continuous 24-hour period. When you wish to set a deposit limit, this gets applied instantly. The same happens if you wish to lower it. However, should you wish to increase your limit, enabling you to deposit more than before, this change is generally not applied instantly. Some casinos apply this change after 24 hours, while others do so after 7 days. Each casino has its own procedure, but to comply with responsible gambling best practices, these limits should not be increased or lifted instantly. Many casinos also offer the option to limit how much you can lose during a selected period of time. This works similarly to deposit limits in some ways, but also applies to the money you already have in your player account, whereas a deposit limit only "covers" the ability to make new deposits. The time periods available for loss limits tend to be the same as for deposit limits (most commonly 1 day, 1 week and 1 month). Although these practices may differ from casino to casino, the loss limit is most commonly calculated as a net loss limit, which takes into account how much you’ve wagered during your selected period of time, but also how much you’ve won from your bets. Ignoring bonuses and other factors that might influence the balance (apart from betting and winning money), a net loss limit essentially limits how much your balance can decrease during a certain period of time. The wagering limit is also very similar to the previously mentioned limits, but limits how much you can wager during a certain period of time. The results you achieve when playing (winning or losing money) don’t influence the wagering limit in any way. If you set up a daily wagering limit of $100 and play a slot machine with a $1 bet size, for example, you will be allowed to play 100 spins, regardless of the results. It doesn’t matter if you end up with a $100 loss, or even a $1,000 profit, once you place bets worth $100, you will not be allowed to play any more. You have to wait until the selected time period expires before you can place another bet. Certain characteristics of the wagering limits are similar to those of deposit and loss limits, but with the key difference mentioned above. Available time periods also tend to be the same (most commonly 1 day, 1 week and 1 month). Some casinos implement a session length limit, which only allows you to gamble for a predetermined amount of time over a selected time-frame. After reaching the limit, you will not be allowed to gamble until the predetermined time period expires, but you might still be able to log into your account and make a withdrawal, for example. Let’s say you set up a session length limit that would allow you to gamble only for one hour per day. After gambling for 60 minutes, you will not be able to play again until the day has ended (either a calendar day or a continuous 24-hour period). According to our research, not many online casinos have implemented this option. However, assuming your casino supports it, this tool is good to use if you find yourself gambling too much. If you don’t want to limit your ability to play and make deposits, but you would like to limit the size of the bets you wager, there is also an option to impose a bet size limit on yourself. This is pretty much self-explanatory – you set up a bet size limit and cannot place any higher bets thereafter. Sometimes it gets more complicated, though. Due to casino games being unequal in terms of volatility and variability, you may occasionally come across a configuration to set up different limits for multiple types of casino games. This is a nice addition, as it allows you to fine-tune your limits for gambling more safely, while not limiting yourself too much. For example, you could set up a maximum bet size limit of $1 for slot machines and $10 for roulette. This means that you wouldn’t be able to play slots for $2 per spin, but you would be able to place a $2 roulette bet. Note: As already mentioned when talking about self-exclusion, bigger gambling sites often provide responsible gambling measures for different types of gambling activities, so this option is not just about multiple types of casino games. This enables you to set a separate bet size limit for sports betting, for example, plus a separate limit for poker, casino games, and so on. Should you notice a personal tendency to increase bet sizes after a period of losses, for example, and wish to stop doing this, introducing a bet size limit could help you to avoid this dangerous habit. However, if it gets more serious and you can’t control your betting habits at all, it might be a good idea to explore stricter responsible gambling measures, or seek out other sources of help for problem gambling. Reality checks are another useful tool that, unlike the other tools already mentioned, do not limit your ability to play, deposit or place bets in any way. A reality check gives you information about your gambling session after you’ve been playing for a certain amount of time. Time-based information is pretty much available at any online casino that utilizes a reality check feature, but the information about money lost or won is not as widespread. Additionally, a reality check generally gives you an option to continue playing or log out from the casino. An option to view gambling history is often present as well, giving players an opportunity to examine their betting habits in more detail. A reality check might look something like the example below. You've been playing for 2 hours. During this time, you've lost $43.80. It is important to point out that reality checks don’t necessarily help problem gamblers. These checks can inform you that it might be time to stop playing, but if you already have a gambling problem, we’re not sure something like this will help. Trying to win back your losses is one of the common symptoms of problem gambling, and a pop-up message displaying how much you’ve lost might simply trigger the urge to gamble more to win back the money. This practice is not related directly to playing, but it’s still very important. Many casinos allow their players to opt out of receiving marketing communication. By utilizing this option, players can prevent casinos from sending them promotional e-mails and messages, calling them, sending them mail, and so on. You can generally choose which forms of communication you wish to leave enabled or disabled, but there should always be the option to disable everything. Note: It is important to keep in mind that this topic is about marketing-related communication. The casino can still send you important e-mails related to your account, but you shouldn’t receive any promotions that might give you an incentive to play. Whenever a person struggles with gambling, any promotional materials or other types of incentive to play can be incredibly dangerous. Even a seemingly harmless offer such as free spins can cause a player to get sucked back into unhealthy gambling habits. This is why the ability to disable marketing communication is an important part of responsible gambling practices, which should be followed by all gambling providers. Completely closing your casino account is another method that should be available if you wish to stop playing. Unfortunately, this is often not the case. In reality, getting your account completely closed without an option to get it reopened in the future can be a difficult task. All casinos should give you an option to completely close your account, but some of them seem to go out of their way to make it as complicated as possible. Additionally, it’s usually possible to reopen the account by contacting customer support. This is why we don’t recommend account closure option as a responsible gambling practice. Self-exclusion works much better in this regard. When describing the aforementioned responsible gambling options, we have assumed that each casino is a separate entity. However, this is not necessarily the case in the real world. There are many groups of casinos that share the same owner, management staff, or are related in some other way. When a player wants to apply one of the responsible gambling options in a casino that’s a part of a bigger group, the selected option is sometimes applied to all casinos within that group. Each group handles this differently, but it’s safe to say that not all of them handle it perfectly. We witnessed a scenario in which a player self-excluded themselves from a casino, but was subsequently allowed to play at its sister casino. That wouldn’t be so bad in itself, but after winning, the player was told that they were not allowed to play because of their self-exclusion from the sister casino (as stated in the Terms and Conditions), so their winnings were annulled, and they were given back the money that they initially deposited. This is far from an ideal situation. It’s good to see that the casino included this clause in their Terms and Conditions, but we also we think the clause should have been be enforced prior to the withdrawal request made by the player. It’s likely that the player wasn’t aware of the clause, or even the fact that there was a relationship between the two casinos. If the player hadn’t won anything, it’s likely that the casino would have simply kept the money, meaning that the player was unknowingly gambling without a chance of actually winning anything or making a subsequent withdrawal. This is unfair to players. Casinos do not always operate individually. Many of them are part of a bigger group of casinos. Application of a responsible gambling option in one casino could also apply to other casinos from the same group. You might not be aware of this relationship until it’s too late. Additionally, if you self-exclude yourself from a casino, but are then tempted to play at a different one, we advise you to explore other responsible gambling options, which are explained in more detail in the rest of this article. Alternatively, if your gambling habits are getting seriously out of hand, we recommend checking out other ways of overcoming problem gambling. Some countries have implemented country-wide responsible gambling options as a part of their gambling legislation. This most commonly includes nation-wide registers of people who should not be allowed to gamble for various reasons, but specifics may vary from region to region. In addition to country-based regulations, some casino licensing authorities have implemented their own systems (Sweden and the UK, for example), while other countries are still working on theirs (e.g. Malta). These options should apply to all casinos that hold licenses issued by specific licensing authorities. Gamstop is the United Kingdom’s national self-exclusion scheme, which focuses on enabling players to self-exclude themselves from all casinos that hold a license issued by the UK Gambling Commission (UKGC). This scheme still hasn’t been fully implemented and not all casinos are taking part in it yet, but their number will grow in the future as all casinos with a UKGC license shall be required to join. Only players from UK can sign up with Gamstop, which will ensure that they are unable to play at any of the casinos legally available on the UK market. To register, they will need to provide their name, postcode, date-of-birth and e-mail address. They will then be able to choose from three self-exclusion periods – six months, one year, or five years. The Gamstop’s website states that players who join the scheme will keep receiving marketing communication from the casinos unless they turn this off individually. Sweden has recently liberalized the country’s gambling market, which is great news for players in general. International online operators now have a chance to legally participate in the market, in addition to a number benefits for players such as the opportunity to join the national self-exclusion scheme, Spelpaus. Spelpaus works similarly to Gamstop but offers even stronger protection. Self-exclusion using Spelpaus will block you from playing, not only in online casinos with a Swedish license, but also in Swedish brick-and-mortar casinos which are all operated by a state-run monopoly. There is an additional major benefit. Casinos are not allowed to send you advertising and promotional messages during your self-exclusion period. This is great, as no self-exclusion scheme provides total bulletproof protection, and not being tempted by gambling companies is a very important as well. Swedish players can choose to be self-excluded for one month, three months, six months, or until further notice. In the first three options, self-exclusion ends after the selected time period expires, but differs in the final option. By selecting this option, the self-exclusion period will keep going until it’s turned off, but you won’t be able to do so for the first 12 months. The Malta Gaming Authority (MGA) is one of the most important gambling licensing authorities in the world. It currently only has a unified self-exclusion scheme for land-based Maltese casinos, but it also plans to expand this scheme to online gambling operators who have an MGA license as well. This should work in a similar manner to Gamstop, which is tied to casinos with a license from UKGC, but different in the sense that while Gamstop is available only to players located in the UK, the MGA’s self-exclusion scheme should work for all players, irrespective of their location. Unfortunately, this self-exclusion system is not functioning yet, and it’s hard to tell when the situation will change. Creating such a robust system that would include hundreds of casinos is not an easy task, but if the MGA manages to do it well, it will be a welcome addition to the responsible gambling options available to players from all over the world. Note: There are a number of similar systems operated by multiple entities, but we have decided to list only three of these, and have picked the ones we consider to be the most important and/or impactful. If you think that other self-exclusion schemes are worth mentioning, please let us know and we will gladly add them. Apart from using responsible gambling options offered by individual casinos, or taking advantage of country-level programs, there are a number of tools dedicated to helping players limit their access to gambling at practically global level. There are apps and tools dedicated to helping players avoid gambling websites or advertisements, in addition to apps which are not created specifically for this purpose, but which can also be used. Blocking specific domains – Some tools use their own database of online casinos and online gambling operators to which they block access. This means that the list of domains and sites needs to be regularly updated in order to remain effective, but it also enables users to access helpful gambling-related sites (e.g. websites that offer help for problem gamblers). Keyword-based filters – These work by blocking anything that contains words such as "gambling", "bet" or "casino", for example. This approach doesn’t require regular updates due to the keywords generally remaining the same, but it can block helpful sites too, which is counter-productive. These tools can also be pretty obtrusive, by blocking websites that have nothing to do with gambling but contain one of the gambling-related keywords that are searched for. Note: Although a number of gambling-specific keyword-based filters have been available in the past, none of them appear to have been kept up-to-date in relation to current technological standards. This is why you won’t find any of them in the list below. You may find apps that do have this functionality, but these are not primarily focused on gambling. We have compiled a list of the most useful and popular tools that can help to limit your own (or another person’s) access to gambling. Check them out below, learn how they work and, if you need a solution, choose the one that’s most suitable for you. Unfortunately, many of these tools need to be paid for, but there are some free options as well. Note: It is important to protect all of the devices at your disposal. If a single phone or computer does not have a blocker, the entire concept of using blocking software to limit your access to gambling could be flawed. When a temptation to gamble occurs, it is extremely easy to pick up an unprotected device and start the vicious cycle once again. We start off with BetBlocker because it’s a free option, while most of the other choices require payment. Although helping a person fight problem gambling is definitely worth the subscription fee to the paid apps detailed below, an app that is completely free has an undoubted advantage. Gambling self-exclusion – This is the mode that should be used if you wish to block access to gambling. After installing the software and choosing this option, you will not be able to access any of the gambling sites included in the database over a predetermined period of time, ranging from 24 hours to "forever". Parental Control – This part of the BetBlocker functionality is useful for parents who want to make sure that their children don’t have access to online gambling (or other undesirable websites). This option enables you to establish a password which can be used to turn off restrictions if you wish to access the blocked websites at a later date. Although parental control is predominantly aimed at children, it can also be used to block an adult’s access to gambling, provided it can be installed on all devices. Because BetBlocker uses the approach of blocking specific domains, it will not block gambling-related advertisements, nor will it block any websites not on their list. This means you might still see some content related to gambling on the Internet, but you will not be able to access a vast majority of online casinos, bookmakers and other gambling operators. As already mentioned, BetBlocker is completely free and available for Windows, Mac, Linux, Android and iOS. You can install it on as many devices as you wish. Although this is not a 100%-bulletproof solution (none of the tools are), we still think it’s a great option, especially considering it can be used for free. Gamban is a blocking tool created specifically for the United Kingdom, but it can be used by people from other countries, too. It works similarly to BetBlocker by blocking access to all gambling websites contained in its cloud database. Gamban is not a free piece of software, however. It costs £9.99, €11.99 or $13.99 per year, per device. This is still a relatively low price compared to other paid options, but costs can add up quickly, especially if you need to use it on multiple devices. Note: There is a way, however, to get Gamban for free. This software is currently available to students for free, but it is only available to people studying in the UK. This is one of the areas where the software’s country of origin shows, but other than that, it’s also useful for people outside of the UK. Supported operating systems include Windows, Mac, Android and iOS. Gamban’s website is not as informative as the BetBlocker website, but there is an option to contact support if you have any queries, require help with the installation process or have other potential issues. Net Nanny is not a gambling-specific blocking application, but it can very easily be used for this purpose. It is mostly intended for parents who wish to control how their children use computers, tablets or mobiles. It includes functionality such as parental control, screen time management, and internet filters. The internet filter functionality is what can be used to block access to gambling. However, as this is predominantly a parental control application, you will not be able to block your own access to gambling websites and applications. You could ask someone else to install it on your devices if you wish to self-exclude yourself, or you could use it to stop somebody else from gambling. The Net Nanny internet filtering functionality allows you to block various types of potentially undesirable content, including gambling. For each of these categories, the software can be configured to allow access, set up warnings that will let you know when a specific person views such content, or completely block it. Just like other internet filtering applications, Net Nanny is not perfect. For it to work on mobile devices, for example, you must disable all other browsers and only allow protected users to use the special Net Nanny Internet browser. We think this is a less than ideal solution, but if you think it could be OK for you, give it a try to see if you like it or not. Net Nanny is available on Windows, Mac, Android and iOS. It costs $39.99 per year, per device if you wish to protect just one Mac or Windows device, but there are also much more affordable family protection passes. You can buy protection for 5 devices for $59.99 per year, or for 10 devices for $89.99 per year. Note: There are many other parental control options available with internet filtering functionality. They all have their pros and cons, but we’ve decided to go for Net Nanny, because it’s one of the most well-known ones. Feel free to take a look at Cybersitter (only available for Windows), Qustodio, or any other application that falls into the "parental control" category. Pretty much all of them have internet filters you can use to block access to gambling. Responsible gambling is not only about tools and features that can be used by players to gamble more responsibly. It is also about the overall approach of gambling operators, game providers and other entities concerning gambling and player protection. Protection of vulnerable players – This is largely done by implementing all of the measures mentioned earlier in this article, but also by offering support to problem gamblers and making sure they have everything they need to play as safely as possible. Underage gambling prevention – Gambling is an activity intended for adults. Measures should be implemented to make sure underage people are not allowed to gamble. This is a part of the reason why players are asked to provide identification documents, so that only people over 18 are allowed to play (although the age limit may vary in certain jurisdictions). Keeping player information safe – Online casinos collect a lot of information about their customers, including sensitive personal details that could be misused if it got into the wrong hands. Casinos should therefore implement security measures to help them keep this information safe. Fast and reliable payments – Payments are also a big part of responsible gambling. Online casinos should do everything in their power to make sure that player withdrawals are processed and carried out without any unnecessary delays, and that money gets to the players quickly and safely. Keeping gambling fair for all players – The term "fair gambling" has been tossed around for a while now, so it’s pretty obvious that gambling should, in fact, be fair. But what does this mean? Fair gambling covers a multitude of areas such as offering games with fair RTPs, ensuring that winnings are paid out to players, the non-inclusion of unfair clauses within the terms and conditions, plus many other possibilities. We have dedicated an entire article to fair gambling, so please check out our fair gambling codex to find out more. Ethical and responsible marketing – A responsible approach to gambling does not only cover its mode of operation, but also covers how it is marketed and advertised. Gambling operators shouldn’t target minors or vulnerable players through their advertisements. We also think it’s important to consider how gambling is advertised, so that people don’t have unrealistic expectations that could turn into problems later on. Anti-money laundering procedures – Money laundering can occur in pretty much any place where money is used and transferred, so casinos should fight against it by implementing various procedures. The most obvious part of this procedure is player verification, which makes illegal practices more difficult to get away with. Ensuring customer satisfaction – Lastly, this point pretty much covers everything mentioned in the other points contained in this list. Casinos should aim to make sure that their customers are happy with their services. Naturally, it is also in the best interests of the gambling operators to make sure their customers are satisfied. Although we do not function as a gambling operator ourselves, responsible gambling is still one of our top priorities. We would like our website visitors to remain safe when playing in online casinos, so we pay very close attention to how individual casinos treat their players, whether they are fair towards them, and whether all responsible gambling practices are being followed. We believe gambling should be fair and safe. But what does this mean? Gambling is fair when players are treated the way they should be treated. When casinos don’t try to trick their players, their terms and conditions contain fair clauses, bonuses have reasonable payout conditions, and players get their money when they win, etc. We recommend casinos that are fair towards their players, and should we discover anything that could suggest otherwise during our thorough review process, we will be sure to let our visitors know about it. Gambling is safe when it’s exclusively available to people who are old enough to play, when vulnerable people are protected and NOT exploited, and when players have responsible gambling options available to them if they wish to regulate their gambling habits, etc. These standards should be followed by all online casinos, so if we discover that some venues have failed to keep their customers safe, we will view this as a major issue. We also believe that really safe casinos should enforce their terms and conditions using software that doesn't allow players unknowingly break some of them. We also care about how gambling is portrayed. Unfortunately, casino games are often presented as a way to make money on the Internet, which couldn’t be further from the truth. We make sure that everything is stated just the way it is, as well as ensuring that gambling does not seem better than it actually is. We like to remind our visitors that players always lose in the end, that our strategies and articles never promise unrealistic winnings, and that we give good ratings to online casinos that create a fair and safe environment for their players. And if we see casinos that (knowingly or unknowingly) don’t follow the principles described in this article, including our interpretation of what fair play should be, we step in to try to make them change for the better. (We’ve actually managed to get five casinos to change their T&Cs.) This is what we do to make the world of online gambling a better and safer place. Finally, players should not simply rely on responsible gambling options, blocking tools, internet filters or other options described in this article to help them with their battle against gambling addiction. These can be useful for many players, but will not be sufficient to help in serious cases, as these tools are not 100% effective, and every single one of them can be bypassed in one way or another. If you really want to stop gambling once and for all, learn more about the ways to overcome gambling addiction.